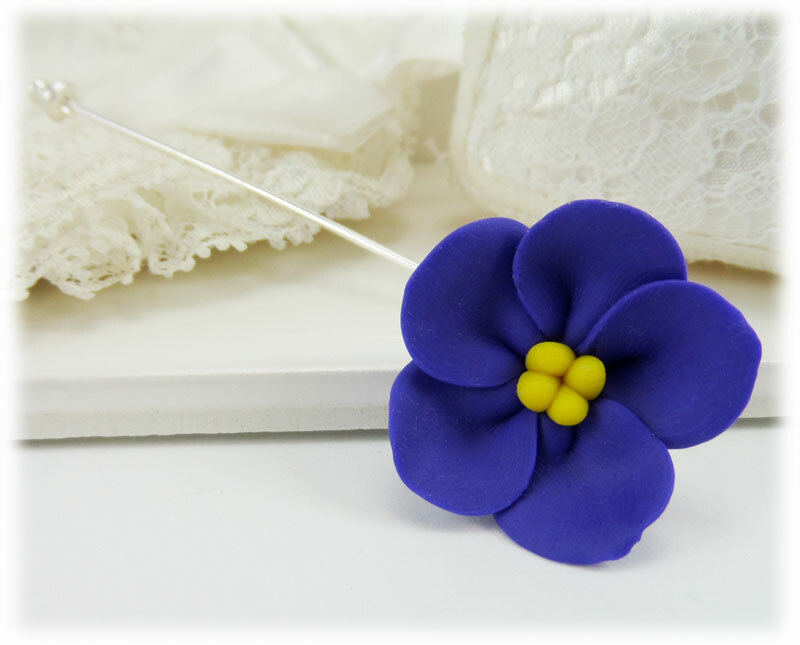 Hand sculpted African Violet Pin. 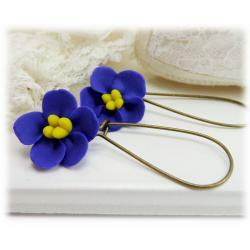 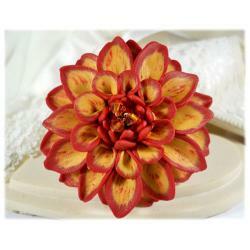 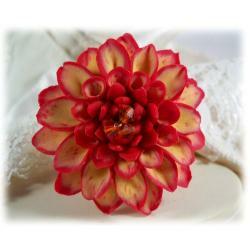 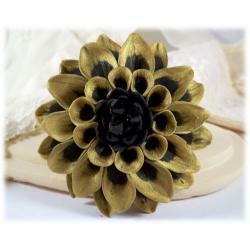 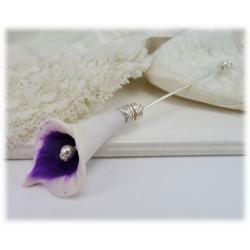 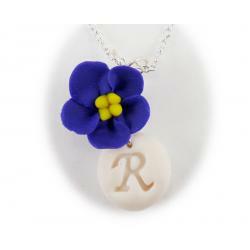 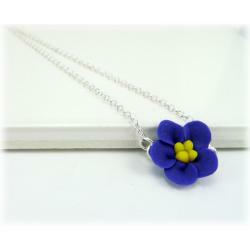 Flower is created with polymer clay and secured to a silver tone or gold tone stick pin or brooch style pin. 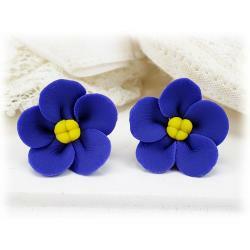 Available in two flower sizes.